Description: Thoppil Joppan narrates the story of a smuggler turned Kabbadi player (Mammootty) who lives in Thopramkudy and is obsessed with Annie (Andrea Jeremiah). His other unwinding activity is regular alcohol consumption. The story of the movie story goes along in an unstructured manner on how his life turns out. This is an ultimate mixture comedy-drama film of Mammootty's Kottayam Kunjachan and Mike from Loudspeaker.Thoppil Joppan narrates the story of a smuggler turned Kabbadi player (Mammootty) who lives in Thopramkudy and is obsessed with Annie (Andrea Jeremiah). His other unwinding activity is regular alcohol consumption. The story of the movie story goes along in an unstructured manner on how his life turns out. 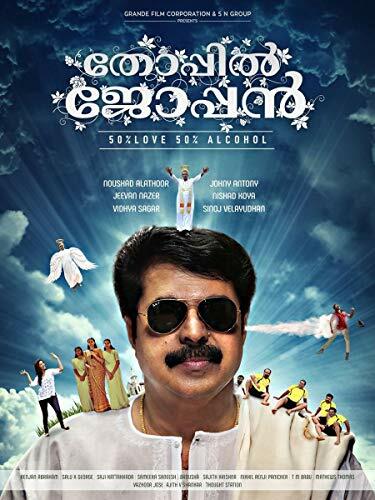 This is an ultimate mixture comedy-drama film of Mammootty's Kottayam Kunjachan and Mike from Loudspeaker.